If you have pain inside of your mouth or your teeth ache, you may be looking for a way to relieve the pain and move on with your day. Unfortunately, dental pain can cause you to miss out on some of the important things in life, especially when it is debilitating and all you can think about. You need to get treatment and the only way to do that is to visit a local emergency dentist in Fresno. 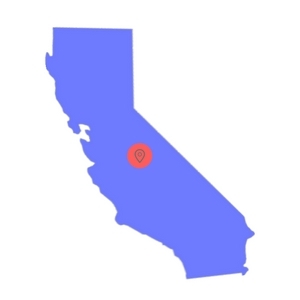 With our 100% free referral service, you will be able to locate emergency dentists in Fresno in just minutes. Urgent care dentists in Fresno work around the clock to ensure your dental pain is relieved as quickly as possible. Take a moment and call one of the many emergency dentists in Fresno below and get the care you need. I broke a piece of my front tooth off and was so embarrassed. I needed to get it fixed right away and that’s where Emergency Dentists USA came in. They found a clinic in my area that was open that day and so I was able to get it fixed right away! There are many emergency dental care options in Fresno and that means you will be able to choose a dentist who can meet your needs. 24-hour dental offices are open around the clock for you to receive the procedures you need and you can call and receive an appointment the same day. These dental offices are perfect for patients who have a dental emergency and need to be seen right then. From our list below, OnCall Dental is not open 24 hours, however, they are open on Saturdays and Sundays. They also accept walkins. After hour dentist offices are open after traditional hours to ensure that patients can receive the dental care they need without having to miss work or rush around town. After hours clinics are ideal for patients who need to be seen quickly, but they do not have a true emergency that needs immediate care. A great example from our list below is Western Dental because they are open until 7 PM Monday through Friday. Tooth pain is not something you want to deal with and it is definitely not something that you want to sit around and try to manage as you shop for a dentist in the area. It can be hard to spend time looking and calling places only to find out they do not offer emergency care. We have made the process simple for you. All you need to do is take a minute and look at the list of Fresno emergency dentists below. Description Click above to be connected to a representative who will help you find the best Fresno emergency dentist. Get help finding an emergency dentist near you, with or without insurance. This number is for Fresno emergency dental offices only. Description: OnCall Dental provides patients with top-quality care when they need it most and are available to take care of you 24/7. They provide evening hours for your convenience and walk-ins are always welcome. Description: The Western Dental office in Fresno CA is a great option if you’re looking for a clinic offering after hours. They are great because they are open late Monday through Friday. Furthermore they have Saturday dentist hours every weekend. Description: This clinic offers emergency dental hours in Fresno until 7pm on Monday and Tuesday as well as til 6pm on Wednesday and Thursday. You can see from their hours below that there are plenty of options if you’re suffering from an emergency dental situation. Description: Dr. Amin is one of the top emergency dentists in Fresno. You will find that he is not only good at what he does, but he’s a friendly person as well. This matters when you’re feeling anxious about your emergency dental care. You can receive a wide-range of services such as oral prophylaxis, restorative, prosthondontics, root canal therapy, periodontal treatment, oral surgery, teeth-whitening, and so much more. Description: Aestetic edge offers great weekday and weekend hours. They are open after hours 5 days a week making them a great choice if you need to get in after work! Visiting your local Fresno emergency dentist is just like visiting your general dentist, except you may be seen at different times outside of your general dentist’s hours. Before you head in for an appointment, it is recommended that you ask for a price quote and the accepted payment methods so that you are fully prepared to make the payment when the time comes. Most emergency dentists will ask for payment either upfront or as soon as the procedure is completed. If you have never visited the emergency dentist before, you will be asked to fill out paperwork and may need to arrive about 15 minutes early to do so. Some dental offices will allow you to access the paperwork online so that you can print it out and fill it out prior to your scheduled appointment time. It is important that you alert the dentist to any allergies that you may have to latex, medication, or specific dental products. This will help him properly prepare for your appointment. In addition, you should let your dentist know if you suffer from dental anxiety and ask what types of sedation are available. There are many different dental conditions that can cause pain and some of them are considered emergencies. Some dental problems will present themselves very quickly such as a dental abscess or infection while other problems will take longer to form such as periodontitis or tooth decay. 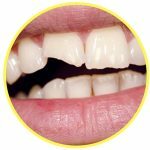 If you allow a dental emergency to persist, you will find that it leads to further complications and may start to affect the other teeth nearby. Below we discuss some of the more common dental emergencies and some remedies you can try at home while waiting to get into an emergency dentist in Fresno. 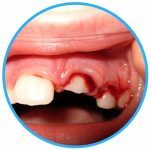 A chipped or broken tooth can happen from trauma or if you bite down awkwardly on an item. The first thing you want to do if you chip or break a tooth is to save the pieces and then rinse out your mouth to remove any additional pieces. If you are bleeding, you should place a piece of gauze in your mouth and bite down to apply pressure. If you are in pain, you can take an over-the-counter pain reliever and place a cold compress on the exterior of your mouth in the area. A knocked-out tooth is a serious dental emergency and can be caused by a hit to the face, trauma to the mouth, a fall, or a car accident. If your tooth has been knocked out, you should attempt to recover it and avoid touching the tissues or roots attached. You can rinse the tooth off lightly and should then place it back into the socket. If it will not fit, do NOT force it and place it in a container of milk or saltwater. You should head to see your local urgent care dentist immediately. The best chances of saving a knocked-out tooth occur within the first hour of it happening. If you have an object caught in your teeth, you may be in pain and this is normal. All types of objects can get stuck in your teeth from food to foreign bodies. If you do have something stuck in between your teeth, you should NOT try to pry it out with a sharp object, as you may damage your tooth more or cause gum tissue trauma. The first thing you should do is attempt to remove the object with floss. If you cannot remove the object or you have wedged it in between your teeth further, you should visit your local dentist right away. If you have suffered tooth trauma caused by an accident, you may be in some serious pain. There are a number of different problems that may arise from a broken jaw to broken teeth or even a knocked-out tooth. These issues need to be handled right away. Depending on the situation you are in, you should attempt to recover any broken or knocked out teeth and then rinse your mouth out with water. If you are in a great deal of pain, you should take an over-the-counter pain killer. If your pain is just to your teeth, it is important to get in to see an emergency dentist right away. Any other injuries you will want to head to the emergency room to be checked out. Typically, extractions are only recommended when the tooth in question is unable to be supported on its own or it has sustained too much damage. If you are experiencing a dental emergency, you may think that you need to head to your local emergency room. After all, that is where they handle emergency situations, right? While this may seem like the correct decision, it may not be the best choice for you and your situation. This is because emergency rooms typically only treat medical conditions and not dental conditions. This means that they will not be able to perform a tooth extraction or any other dental procedure. The ER doctors can look over your mouth and prescribe medication to help you until you are able to see your dentist. You would be better served by a Fresno emergency dentist. These dentists are prepared with the tools and equipment needed to perform a wide range of procedures to help alleviate your pain and discomfort. There are times when you should still visit your local ER, even if you do have a tooth-related condition. These times include when you have sustained trauma, have a head injury, have a broken jaw, or you have fallen and possibly hit your head. If you are experiencing a dental emergency, our free referral service is here to help with just one phone call. We are open 24 hours a day, 7 days a week and even have staff on holidays! Before you visit any new dentist, we recommend that you verify their licenses and credentials. To do this, you can check out the California Department of Consumer Affairs and the Dental Board of California. If you are experiencing any type of dental emergency and you are unable to find a 24-hour emergency dentist in your area, you should head to your local emergency room or call 911.